Assisting the nonprofit development affiliate of an urban housing authority to develop a mixed use project that brings 35,000 sq. 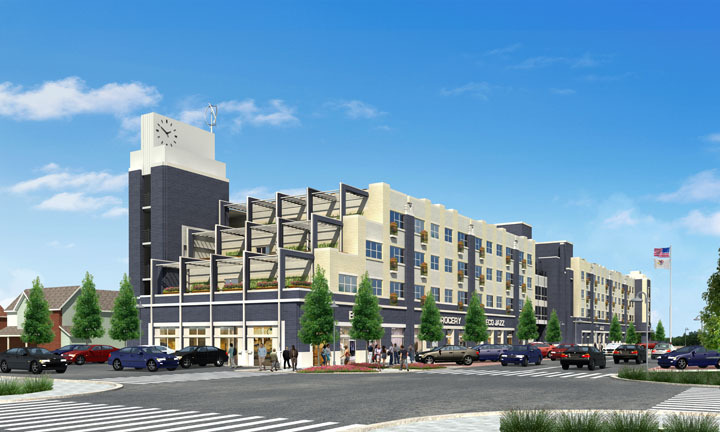 ft. of commercial space targeted for a green grocer, credit union and geriatric health care facility as well as 100 units of quality workforce housing to an inner city low income neighborhood in a rust belt city. The $21.0 million project was the first mixed use real estate project in the country to be financed with the combination of HUD public housing capital funds and NMTC. Assisting a national supermarket chain to significantly expand its presence in low-income neighborhoods. We assisted the chain to replace a small functionally obsolete store in an inner city Midwestern community with a new “state of the art” 57,000 sq. ft store. We also assisted the chain to finance the development of a new 70,000 sq. ft. store in a low income community in a Sunbelt city. Developing a financing package to ensure the successful development of a 26,500 sq. ft. health care clinic in a distressed community in rural Appalachia. The $7.0 million project tripled the number of health care professionals serving the low income community.